The Gogoro 2 Series is an electric scooter from Taiwanese electric scooter startup Gogoro, a subsidiary of HTC, one of the biggest smart phone makers in the world. The 2 Series Plus is available in multiple colors. 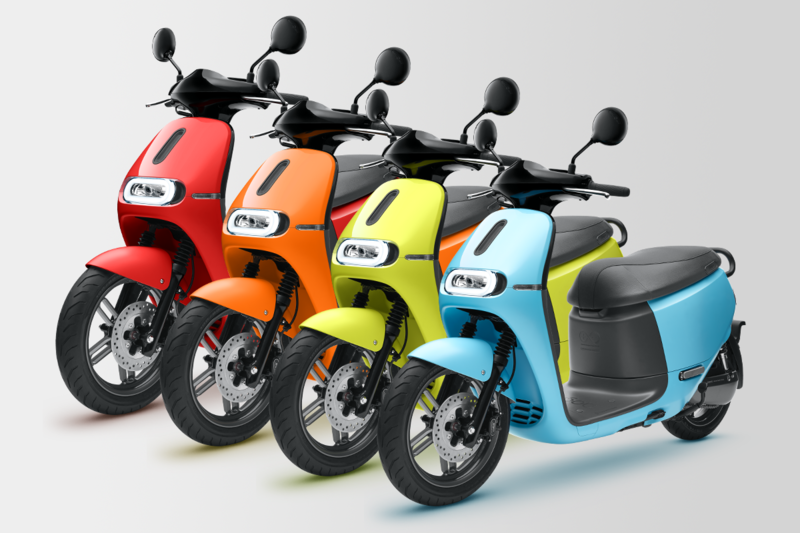 The cover of the 2 Series can be replaced like a smart phone cover, allowing for personalization of the scooter. 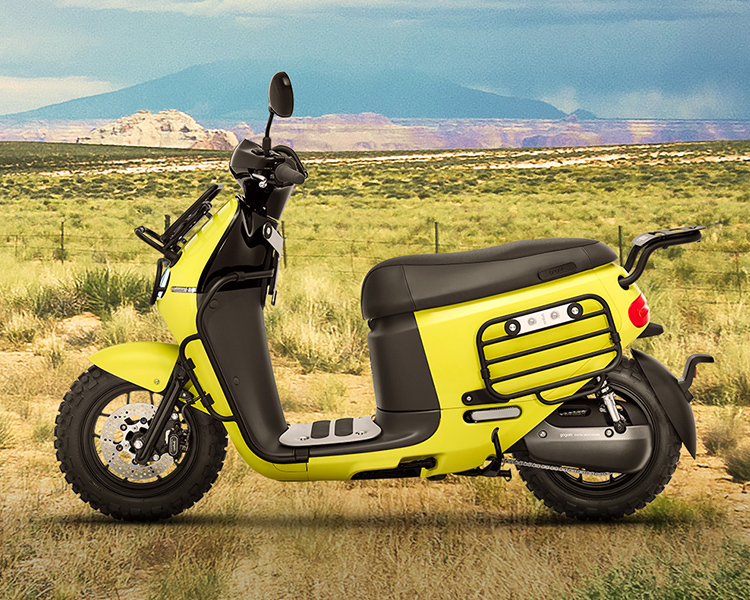 The Gogoro 2 offers almost the same performance as the Gogoro 1 but has a much lower price. 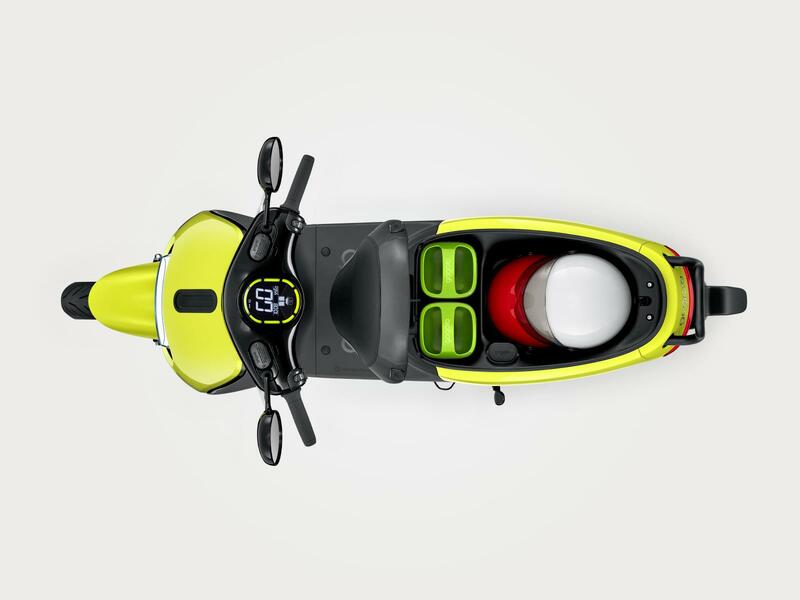 The scooter is equipped with regenerative braking that will return power to the batteries. The braking system is a unique innovation called Synchronized Braking System (SBS) that delivers simultaneous braking force to the front and rear wheels, automatically balancing stopping force to reduce slips when hard braking or during panic stops. 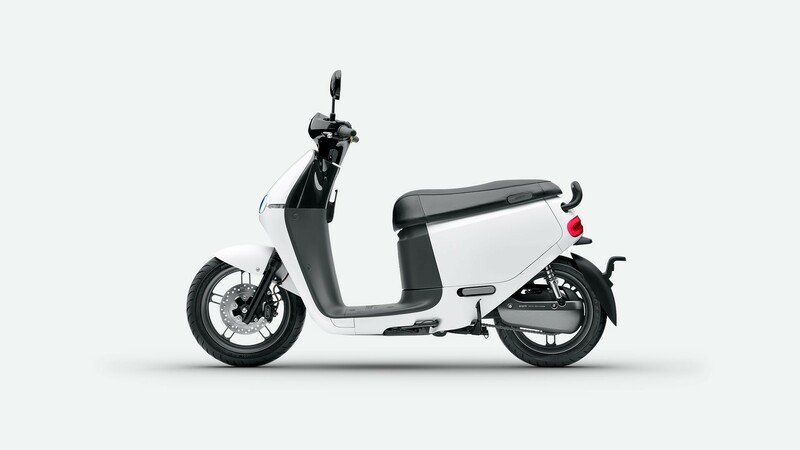 The Gogoro scooter is remotely serviced like Tesla cars. With more than 80 sensors constantly tracking the vehicle’s every heartbeat, Gogoro engineers keep watch on every aspect of the Smartscooter, ensuring all functionality stays perfectly in tune. 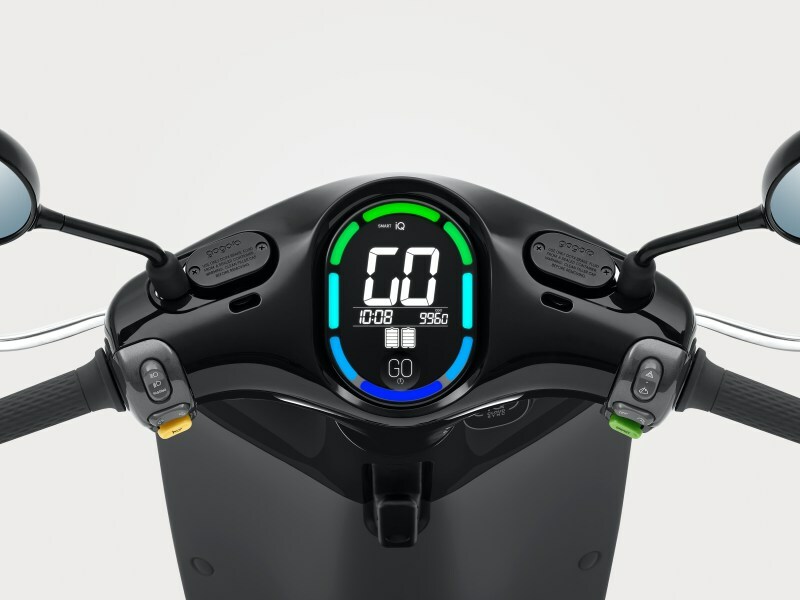 The dahsboard of the scooter provides Gogoro’s iQ System that pushes your riding info to a colorful smart dash, helping the driver to ride more efficiently. It also automatically updates with new advanced features wirelessly. The dashboard is fully customize able like a smart phone home screen. The scooter has innovative 2 compound racing tires that provide less friction when driving fast and that provide extra traction in steep turns. The scooter has a large buddy seat that provides space for 2 helmets. 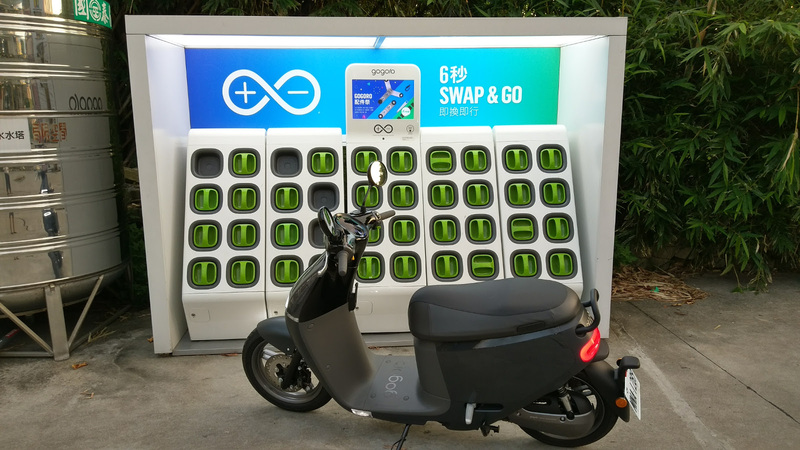 Unlike other electric scooters that charge via a wall outlet, the Gogoro is provided with a battery subscription and a network of GoStation battery swapping stations. When the charge on the scooter runs low, you stop by a station and swap the batteries with fresh ones. 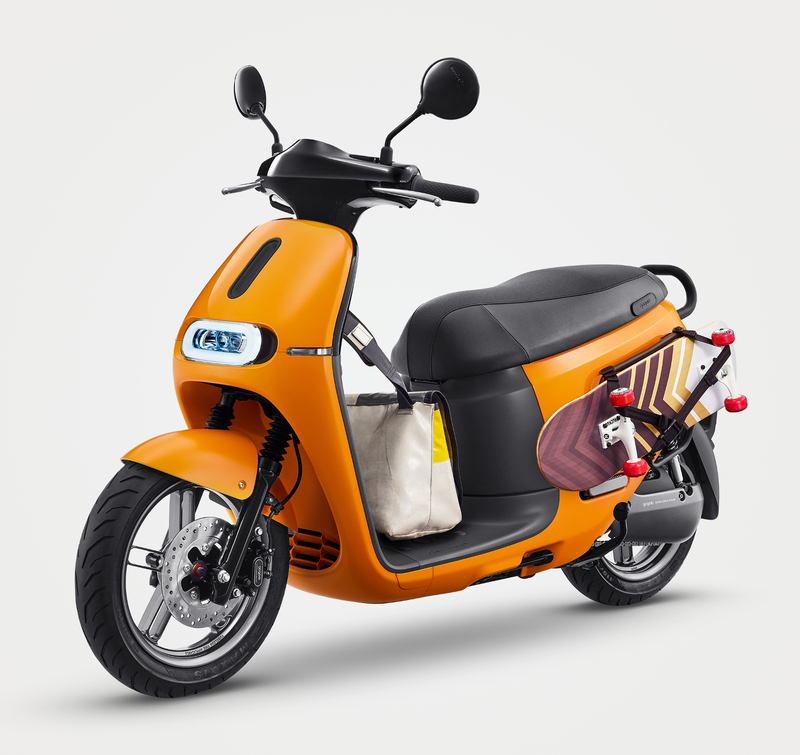 Gogoro charges a monthly subscription fee for this service. 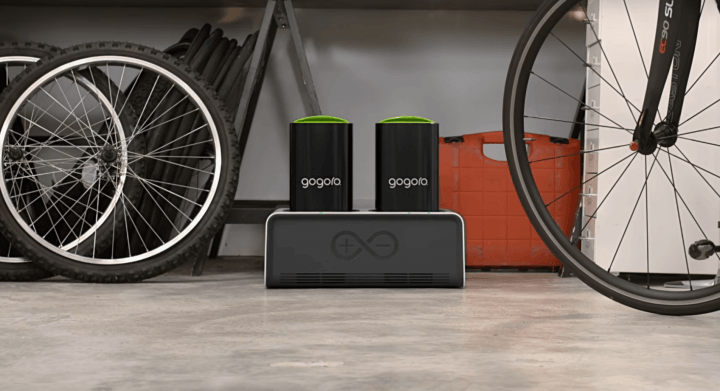 Next to the battery swap network Gogoro also offers a home charging station called a GoCharger that charges both batteries in 2.5 hours. 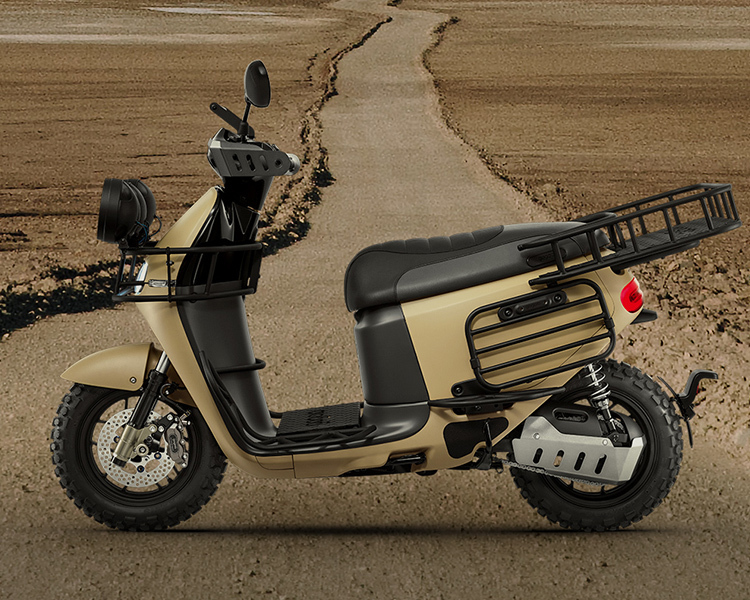 The Gogoro connects to a smart phone app that allows for an incredible amount of customization. Riders can use the Gogoro app with their iPhone or Android to change the colors of the lights, monitor their battery usage, find a battery swap station, call for help if they crash, or locate where they parked. Gogoro offers 2 years of unlimited mileage warranty.